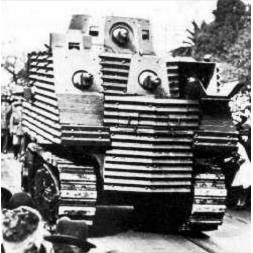 Few tanks have achieved the level of notoriety and even scorn which has been cast upon the ‘Bob Semple Tank’. Few lists of ‘Worst ever tanks’ miss it out and it does seem perhaps a little ungainly at first glance. As such it is ignored for what it really was and for the genuine merits it offered. The eccentricities of the vehicle and the character of the man whose name was applied to the vehicle have become legend. Robert Semple was certainly a ‘character’ and, in some ways, the vehicle even reflected him and his attitudes. He was born on 21st October 1873 at Crudine Creek, New South Wales. He started life on the rough goldfields of Australia before moving to New Zealand and at various times been a boxer in his own right as well as a miner, industrialist, union leader, and champion of the common working man. He had campaigned against involvement in World War I and was a talented orator and public character. 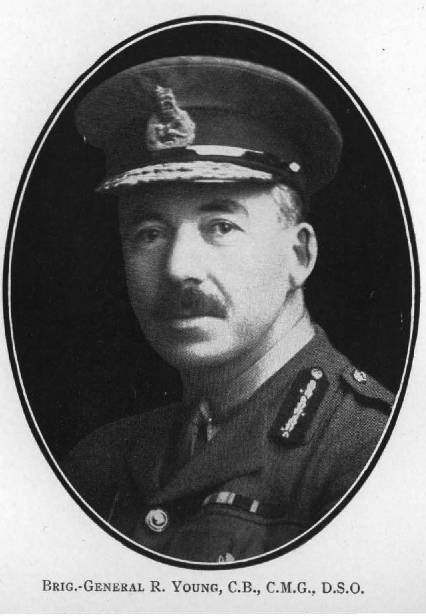 At one point, he had been prosecuted for refusing to disclose his son’s age to a defense officer and upon the introduction of conscription in New Zealand in 1916 had sought to use the vital position of miners to force the government to abandon compulsory service. In December that year, he was arrested again after advising miners not to be “lassoed by that Prussian octopus, conscription” and even denied a jury trial under the then newly introduced War Regulations Act. Upon his release in September 1917, Semple toured the coalfields and was very well received. 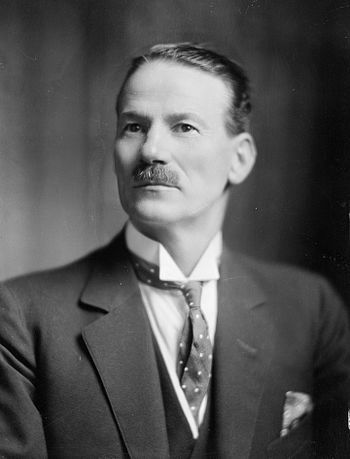 After WW1, his political career waned until the Labour party returned to power in 1935 and he became a cabinet Minister for Public Works. This time, when war broke out, Semple was still fighting for the common people but was much less tolerant of dissent. 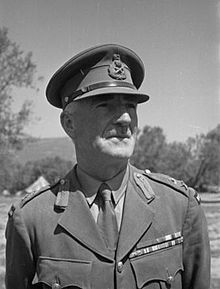 In 1940, Robert ‘Bob’ Semple was given the portfolio for National Service; the de facto Minister for War, where, in a remarkable U-turn, he helped implement conscription. The idealist Semple had become the hardened fighter and pragmatist Semple. A man of strong convictions, virulently anti-authoritarianist and anti-communist, Semple was now an experienced political boxer. He needed to be too, as WW2 was a different beast to WW1. New Zealand was facing a potential invasion with no effective armored force, Semple found out that the NZ Defence Department had been making enquiries in the USA for supplies of armor plate. 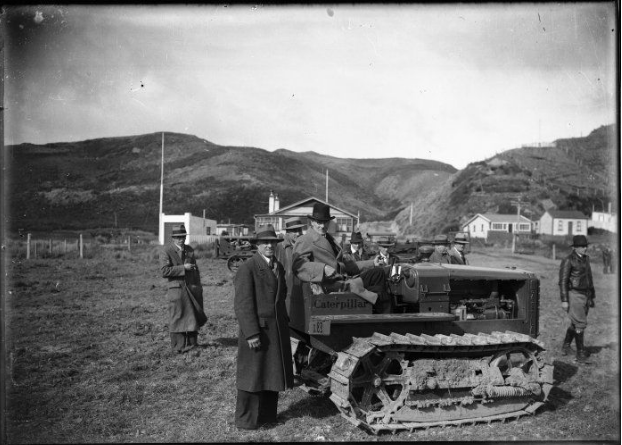 However, Semple had already seen a photograph of a Caterpillar tractor which had been converted in the United States (it is possible that this refers to the Disston tank, however, no direct proof exists) and showed it to Mr. T.G.Beck (Public Works Engineer, Christchurch) who at the time was in charge of a large irrigation scheme in the South and Mid-Canterbury region. 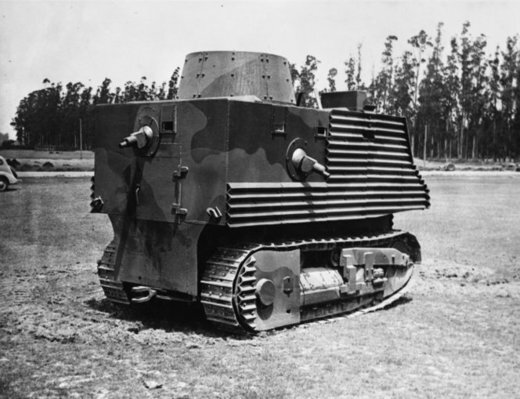 It was going to take some time to obtain blueprints of the American tractor tank conversion but rather than squander time, work began straight away, without the formal plans under the direction of Mr. Beck in the Public Works Department (PWD) workshops in Temuka. Mr. Beck would work with an engineer at the PWD works, Mr. A.D. Todd, and all work was overseen by Mr. A. J. Smith in the capacity as an observer. 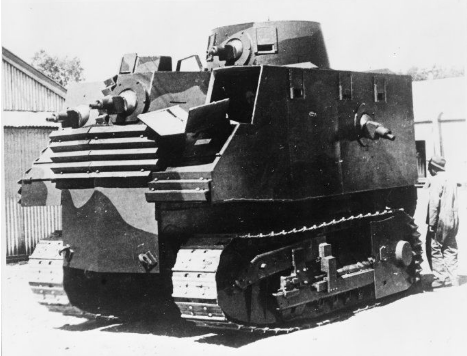 At Temuka, the PWD proposed to take their fleet of 81 D8 Caterpillar tractors and build armored bodies for them. 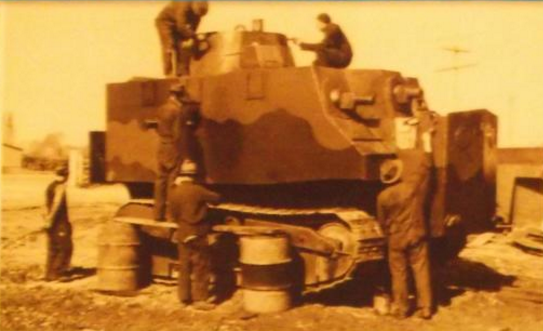 The tractors could be used for their normal purpose and, if called upon for War Service, could have these armored bodies fitted. Very little modification was required of the tractors. The suspension was modified slightly and the track assembly was lengthened slightly. The existing driver’s controls were changed slightly and moved forwards. Mild steel extensions were added to which the body would be attached. 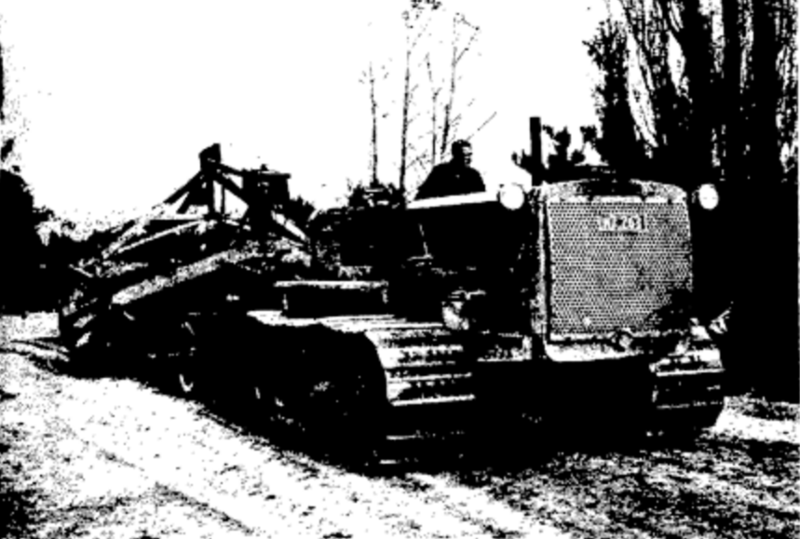 A prototype was ready at the Temuka PWD Depot by June 1940. The existing tractor body was removed and substituted by a 3 ply-plywood mockup of the armored cab attached to those mild steel extensions. Even at this early stage, the idea of a proper cannon for anti-tank use and infantry support was mooted. The original gearbox turned out to be insufficient and therefore an improved 2:1 ratio box was substituted. This resulted in the metal prototype having a shortened engine compartment and wider sides. 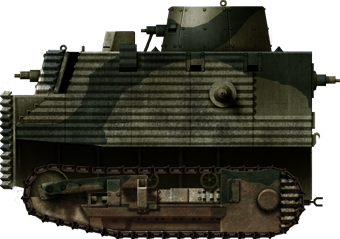 A 37 mm cannon in a revolving turret was seen as being of crucial importance, as was the provision of machine guns. It was sadly found to be impossible at the time to obtain a cannon so an additional machine gun was used instead. 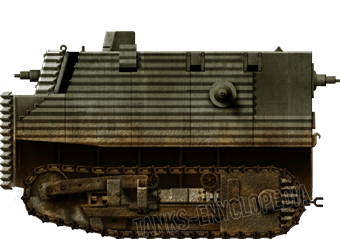 There are no details of what 37 mm may have been envisaged but the 40 mm 2 pounder gun which was the standard British tank gun at the time was in short supply. Having looked to the USA initially it would be likely that this 37mm gun considered was the 37mm M3 tank gun as used on the Stuart light tank. The additional turret machine gun brought the total armament to a total of six Bren .303 caliber machine guns; one on each side, one over the back, one in the turret, and two positioned forwards in the hull. One on the far right and a second one positioned centrally which would have been very awkward to operate given the position of the engine and would have to have been operated either awkwardly from the side by the driver or other gunner, or by another crew member lying on top of the cowling over the engine. The crew is often quoted as 8 based on these 6 machine gun positions, a commander and a driver but is also variously noted as 6 and as 7 crew. Clearly, the crewing would be dependent on the number of men available and the situation encountered. Proposal of a 37mm gun turret. This prototype was reordered in mild steel and the need was to construct an example for the Army in actual armor plate. Supplies were not available even from Australia so instead, corrugated manganese plate was used. Trials at Burnham Camp on December 1940 showed the speed had been reduced with this additional weight to only 8 to 10 km/h (5-6 mph). Additionally, the bulk of the body meant it rolled badly during off-road movement making fire on the move very difficult. The Army was still frustrated at the lack of a turret mounted cannon but with no other options available relented to have three examples constructed as they were. 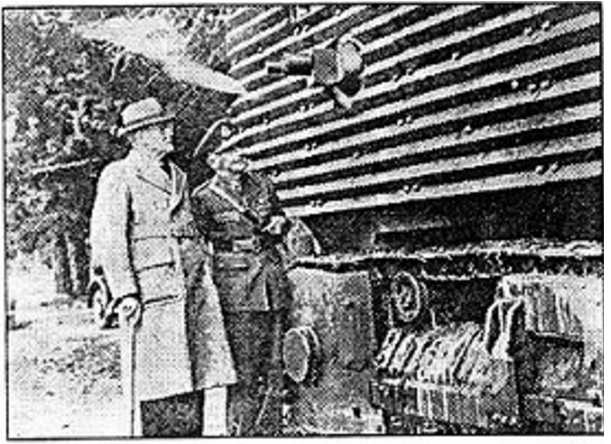 Robert Semple (with cane) accompanied by unidentified staff officer inspecting the very tall sides of the PWD tank. Note this photo shows the back of the vehicle and clearly shows the corrugated armor on the right-hand side extending all the way up the side. 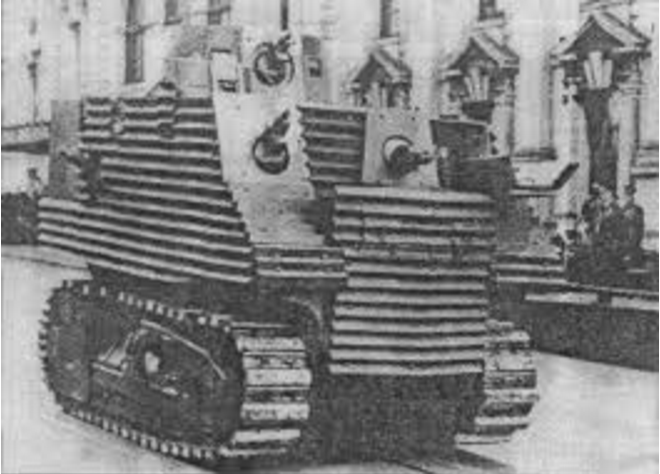 By March 1941, the second tank was finished, and both took part in a parade in Christchurch on 26th April. One was then sent to Wellington and then on to Auckland to promote the war effort. It was paraded there on 10th May 1941. These public outings, as well-intentioned as they may have been to bolster flagging domestic spirit, instead promoted media ridicule. 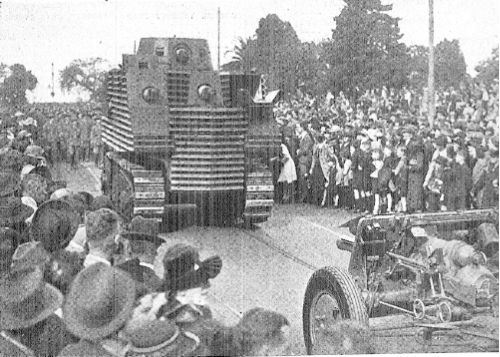 Only after these public outings did this tank become known as ‘Bob Semple’s Tank’. 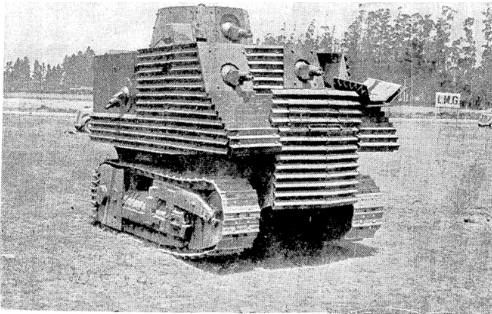 A Bob Semple tank in the livery suggested by contemporary photos. It didn’t matter though if the vehicle had merit or not. 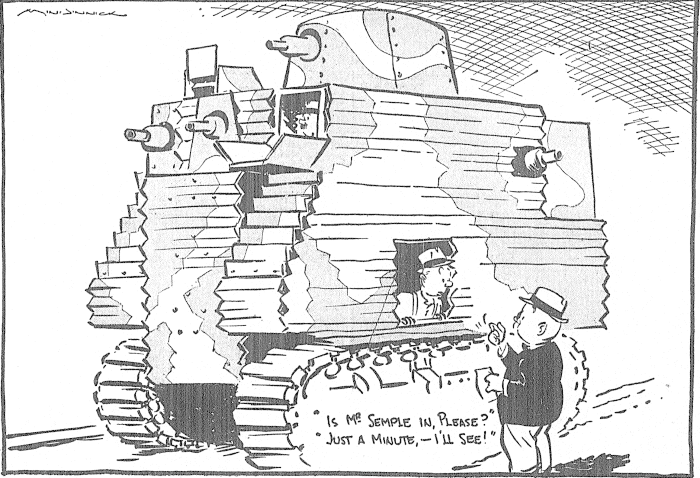 It had become tied to Semple personally so his opponents politically could attack him by way of attacking ‘his’ tank and its unconventional appearance combined to doom it to being a laughing stock. 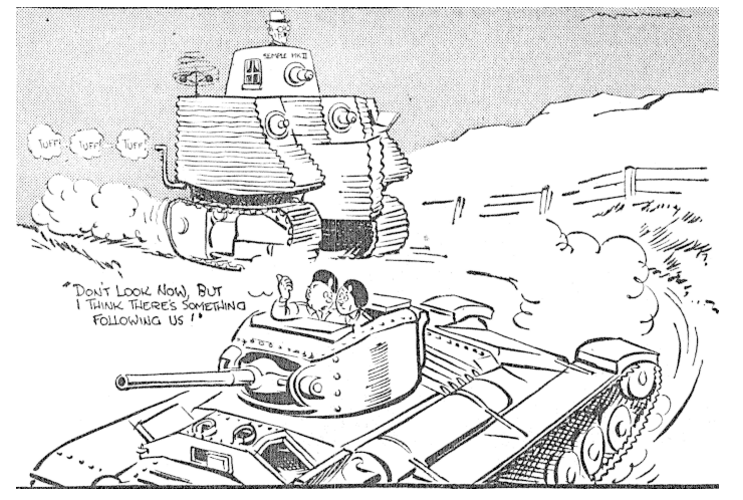 This cartoon appeared on 21st October 1941 coinciding with the arrival of the first Valentine tanks in New Zealand. Semple Tank undergoing testing showing the roof of the turret. 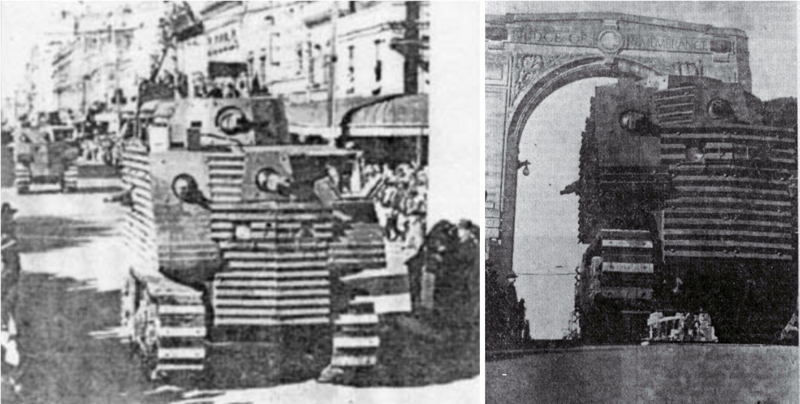 At some point, these two tanks were officially handed over to the Army, reportedly having had their turrets removed. Suitable cannons had still not been obtained. General Puttick’s final recommendation was that no more of this vehicle type be made and that the three existing vehicles were deemed to be suitable for beach defence instead. Eventually, the armored bodies were stripped back off the tractors and they were returned to their civilian duties. Time had gone by and the invasion threat was over. 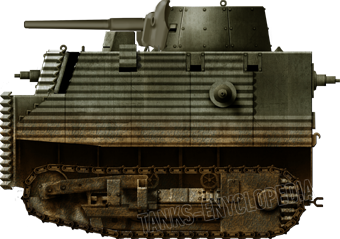 Better, faster indigenous designs were available, Valentine tanks were being delivered, and the Bren Carrier was in production locally to boot. The Semple tanks were simply not required anymore. 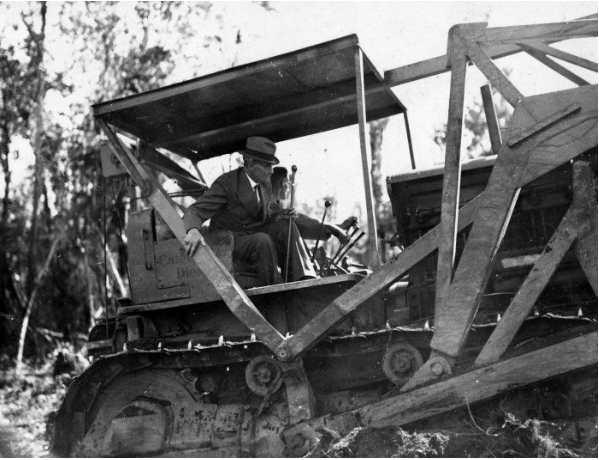 The third vehicle, which had remained in Auckland, was reportedly deployed into service in the Pacific theater, albeit stripped down and fitted with a dozer blade. This was not the response of a man in any way ashamed or embarrassed but rather proud in what he and the PWD achieved. Postwar commentators may also continue to sneer at this ungainly machine, but the PWD and Semple had laid down a marker, a line in the sand that New Zealand would defend itself no matter what. Semple, the fighter, the anti-authoritarian, would not give up to the defence of his home to the dictatorship of Japan no matter what. Len Richardson. ‘Semple, Robert’, from the Dictionary of New Zealand Biography. I’d been hoping for another article to covering Japanese prototypes or armored cars; however this is a terrific article. Such articles are in the works as we speak. Thanks. 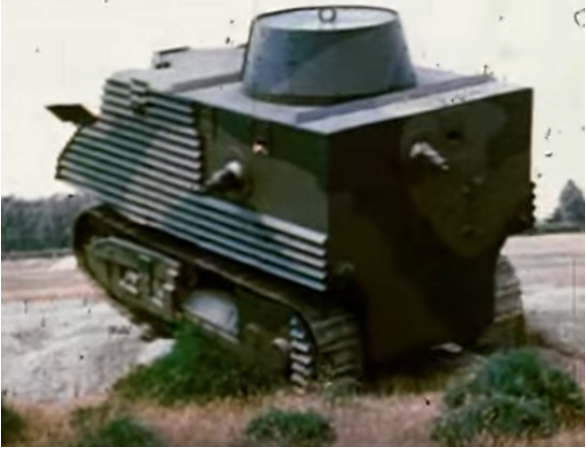 I love the historical footage of vehicles. If you guys could keep updating these articles, I would love it even more. John, we’ve been constantly trying to get a hold of you! i love this tank because i myself am from New Zealand. 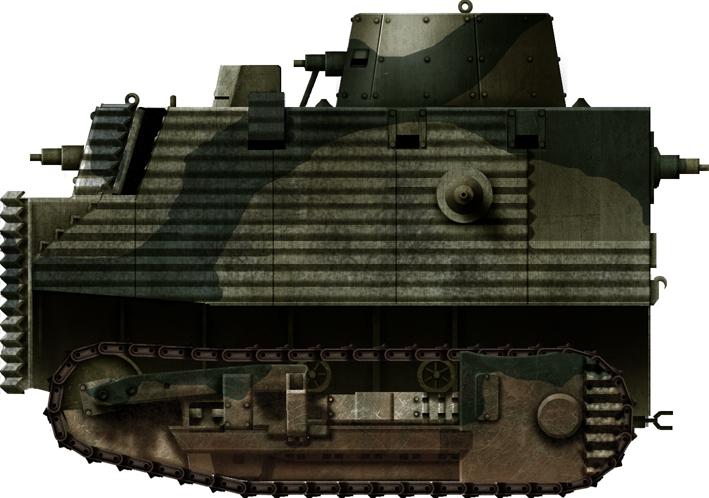 One of the two best and only tanks of newzealand. Can’t wait for a schofield tank article.